The last part of our look at Tomorrowland film attractions, this one pays an homage to the forward thinking of the film and Walt Disney’s legacy. 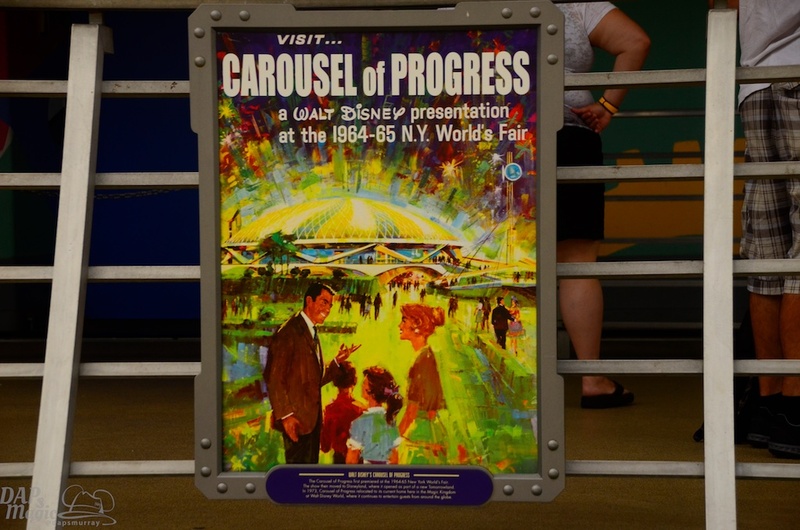 Carousel of Progress premiered at the 1964-65 World’s Fair in New York. General Electric had commissioned Walt Disney to create an attraction to show off their products and advancements. The show was one of two at the World’s Fair that showcased human audio-animatronics. 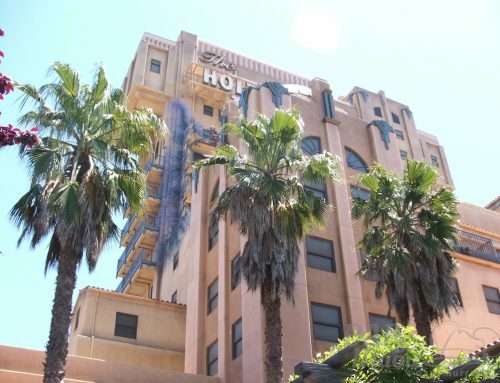 The making of the attraction was seen in a show called Disneyland Goes To The World’s Fair. 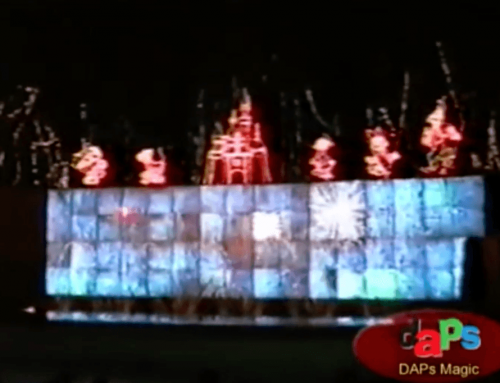 In the show, Walt shows how movements are recorded for audio-animatronics, and even presents a part of the Carousel show. Progressland is what the show premiered as, and was a unique experience because of the seats rotating around six stages. The Sherman Brothers were tapped to write a song that would be sung as the theater rotated. This song, called “There’s A Great Big Beautiful Tomorrow” has mostly been part of the attraction, but not always. More on that later. The Skydome Spectacular was the post show for the Carousel. It featured a planetarium-like demonstration of ways GE used energy. Carousel of Progress opened with new Tomorrowland in 1967 with a few additions from the World’s Fair version. GE was still a sponsor for the show. Some references were taken out, most that corresponded to some of GE’s campaigns. Updated technology was seen in the final scene. A significant addition came in the post show. Guests were taken to the upper story to see Progress City. Mother and Father from the show still narrated, and a model was shown based on Walt’s Experimental Prototype Community of Tomorrow – or EPCOT. The Carousel of Progress started to have smaller audiences in the 70’s. 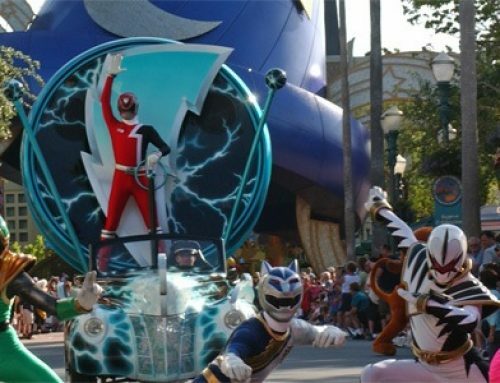 The show was moved once again, this time to the new Magic Kingdom in Florida. Even Progress City made the move, though it became part of the Tomorrowland Transit Authority, not Carousel of Progress. GE continued sponsorship clear until 1985. 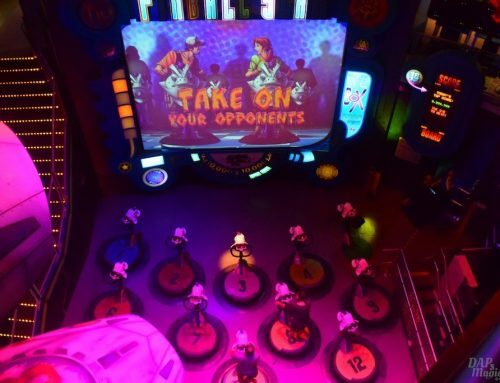 When the attraction went into refurbishment, changes were made to take out references to GE. Then, in 1993 another refurbishment took place. With a revamp of Tomorrowland at the Magic Kingdom the Carousel of Progress was able to revert back to an original take on the show, even bringing back “There’s A Great Big Beautiful Tomorrow.” The only change from the original is the last scene. Now it features an idea of the 2000’s as seen from the 1990’s. Carousel of Progress has been a very beloved attraction of Disney fans. The Sherman Brothers felt like “There’s A Great Big Beautiful Tomorrow” was Walt Disney’s theme song. The song has been in two feature films, Meet The Robinsons, which was also an homage to Walt Disney, and Tomorrowland where it’s used during a recreation of the World’s Fair. A sequel of sorts was created at Walt Disney World over in Epcot. 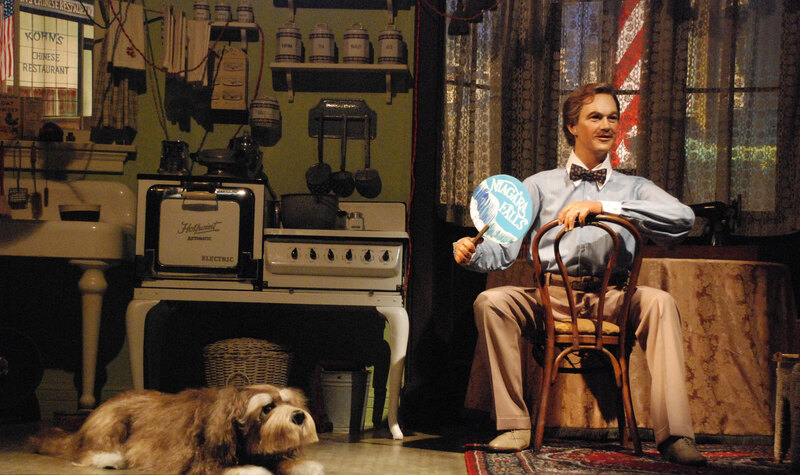 Horizons not only used the classic song throughout the ride, but Mother and Father are the characters that narrate the attraction. The idea is the family is now in the future and showing what advances have been made. Horizons lasted from 1983 to 1999, which means Carousel has outlasted its spin-off. The theater in Disneyland was the first of the Carousel theaters. The building housed America Sings after the show moved to Florida. After America Sings, Innoventions made use of the rotating seating area, this time as a show floor. Meet the World in Tokyo Disneyland was also a rotating theater design. 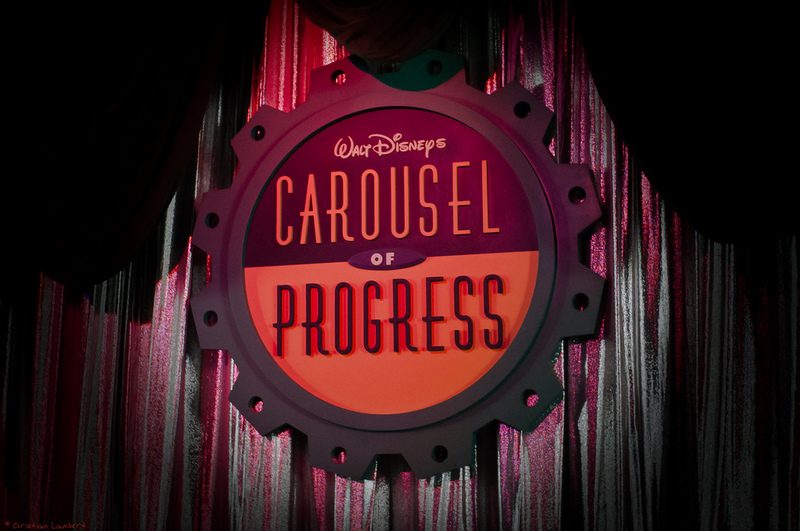 Carousel of Progress may not be progressive anymore, but it still entertains guests today. The song has been an upbeat, optimistic, and inspiring song to enjoy. 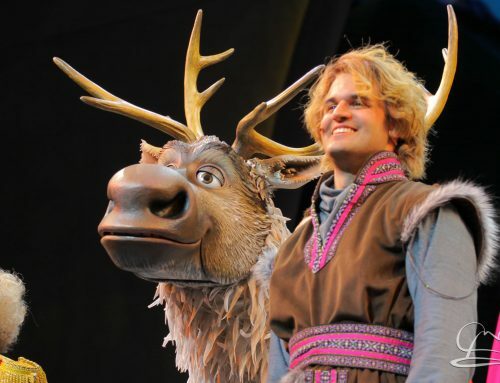 The show has certainly helped advance a lot of other attractions at the Disney resorts. It is a classic that can still be enjoyed today, and one that Walt Disney himself helped shape with his own inspiration and optimism.